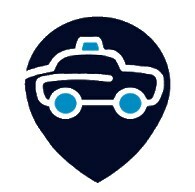 Taxi Services - Hail a Taxi using the Yaioa App. Get a ride from one location to the other with ease. Download the Yaioa app, signup and get started today. Everything you need to know about Taxi Services. To get taxi services was an impossible thing to think about before but now, with just your phone you can hire as many taxis as possible. At times you don’t feel like driving or might be in a rush or trapped somewhere the next thing that pops up in your mind is hiring a taxi. Taxi services are a top notch because it is a huge business now and each company would want to get customers so they make sure to satisfy their customers and make them comfortable while in the taxi. There are so many taxi services center in Nigeria now. The list below shows some of the best taxi services you can get in Nigeria. List of taxi services in Nigeria. One of the oldest taxi services in Nigeria. They match passengers who request rides via their Smartphone app. Passengers can either pay with cash or with card. If you want to be a partner in their company, You must first get a car then register the details of your car like car name, model, year of purchase, the color of interior and exterior of the car. For now, oga taxi only accepts 2004 cars and newer with e-tags for toll from partners. To get the app, kindly go to the app store and Google play store and install it. Pamdrive was founded on May 1, 2016, and since then it has been one of Nigeria’s leading taxi booking service. It is a new way for you to move your things from one place to another easily within in and outside your town/city by using the latest technology to quickly get a taxi that is closer to you. They reduce the stress and time of passengers by connecting them with drivers. All their drivers are professionals and cars air conditioned and unbranded. This is a car rental company that offers quality cars and highly efficient service and also they offer services that will meet customers every need when on the road. With rhezon, each drive you take offers you the chance to build long-lasting memories. A subsidiary of Tekra Global Concepts which aims at providing the standard of excellence in car rental services by providing clients with comfortable and safe transport services on individual and corporate request. They have branches in Port Harcourt, Lagos, and Abuja and they provide quality services for customers. This is one of Nigeria’s leading taxi services that connects riders to drivers through their app. They open more possibilities for riders and more business for drivers. Parkwest cab service is located in Abuja and provides services like taxi services, taxi pick up and drop off services and airport cab services. Get sleek rides to church, work, dates, business meetings, and parties and enjoy lower costs on your rides. For every ride you take with Rideme, you earn points that will be redeemed for future rides and gifts from their selected partner stores. Download the app on Google play store and the Apple store. Holla cab services Limited is well mobilized and strongly positioned to provide up-to-date information technology solutions, infrastructure, and financial consultancy services. It is a company that implements and supports technology solutions and they also provide outstanding services to all customers. They provide good services to all passengers. Their drivers are neat, professionals and well courteous and you can actually bargain price with them if you think their services are expensive. You can also get the app on the Apple store or Google play store. This is a logistics and transportation registered company that offers fast, safe and low-cost parcel deliveries to more than 22 cities in Nigeria. You can send them on errands i.e. they pick up and deliver to you anytime anywhere. They also provide cheap and affordable taxi services across major cities in Nigeria. This company is currently under new management from the United Kingdom. Not long ago, people rely on sub-standard means of public transportation like Danfo buses and Keke (Tricycle). Things have changed a lot over the last few years with the arrival of ride-hailing apps. These apps assure the Nigerian people of the basic necessities of a hired ride such as timeliness, comfort, and fair charges. Below are a few of the top hailing taxi apps that have changed the transportation system in Nigeria. Oga Taxi is first Nigeria’s ride-hailing app with potentials to overtake foreign apps like Uber and Taxify. This app was launched in 2016 by Micheal Nnnamadim and Ameh Idoko. 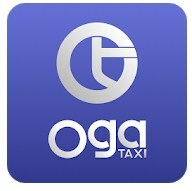 Oga Taxi comes with features that will make riding comfortable for all passengers. 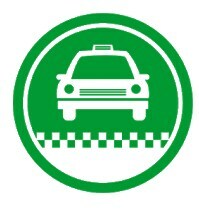 Oga Taxi has two ride options namely, Classic (solo) and pooled ride. With the pooled ride option, the driver shows you profiles of people heading the same direction with you and you get to choose whom to ride with and thus guarantees you with a discount of 40%. Taxify is an Eastern European ridesharing company that has spread to over 20 cities in 15 countries. Since it entranced into Nigeria in 2016, it has rendered good services to many Nigerians. Its riders are punctual and well mannered. 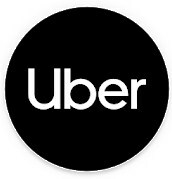 Uber was founded in 2009 and it is a San Francisco based company. Uber is currently operational in more than 600 cities in over 65 countries, 13 su-Saharan African cities like Lagos, Abuja, Accra, Nairobi and more. Uber came to existence in Nigeria in 2014 and since then it has proved to be one of the best ride-hailing apps in Nigeria. Carxie is another good taxi app you need to get on your phone. Carxie serves as a source of employment for Nigerians within the country. This is how it works: For every driver brought by an agent, the agent gets/earns one percent. The more drivers you bring, the more money you earn. Carxie is well known in Lagos, Abuja, and Owerri. 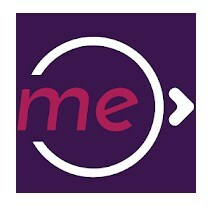 This is an online platform that allows you to share a ride with someone going the same direction/route as you. This app serves two kinds of riders i.e. Riders and ride owners. The riders order rides by entering their trip information, clicking on the search button to look for a ride that matches their destination but in cases where there are no matched routes, they can choose to get notified when one finally does. While ride owners click on the “offer a ride” button and enter their route destination. This app is only available in Lagos for now. This app was recently launched in Lagos in July 2018 and it is becoming the first choice for some Lagosians. Their taxis have a unique color that stands out differently from other taxis. For people leaving in the Mainland and working in the Island, this app is the best taxi app in Lagos for you. Their fee is very affordable and meets the lifestyle of every average Lagosian. Rideme has a live chat option which allows them to deal with customers issues. 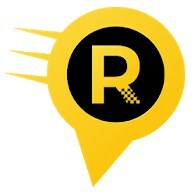 Rideon provides riders with the best ride service in town from drivers who are committed to delivering their best. With the app, you can get safe and reliable rides at affordable prices. It is very easy to use than other apps. Customers can book for any journey, save their profile and payment details so that when next they open the app they can book a ride in a couple of clicks. 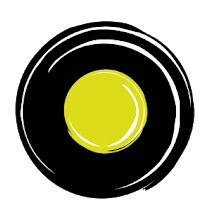 Ola cap app provides adequate and unique services to the users. Book, hire a cab and professional drivers will arrive within minutes to take you to your preferred destination. 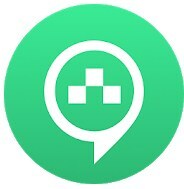 This app is quite new and was launched in Nigeria a few years ago. With, Naija taxi app, you get services like taxi services, car/bus hiring, logistics and delivery, car tracking services, and you can book a trip to West Africa. 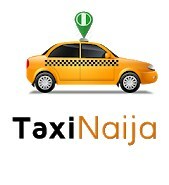 Naija Taxi ensures you a safe and convenient ride. Booking a cab and calling of a driver is fast with this app. It connects customers with Taxis in Nigeria. This app is available for both riders and drivers but has separate logins each. Drop offers riders the best taxi services in Lagos. This app lets you book a cap either for yourself or the product you want to transport. 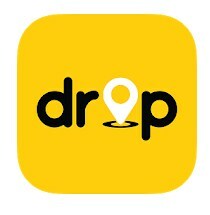 Drop app uses GPS tracking so that the driver could locate you wherever you order a ride in Lagos. Payment can be done by cash or by attaching a credit card to your account. With this app, your pickups, drop-offs, dispatches, deliveries are quick and pleasurable. 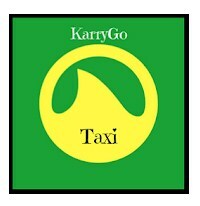 KarryGo taxi app is an app whereby a user can request for a Taxi and get a response from driver 10km radius away from the user. This app has a relatively low fare of 350 Naira. It charges users 65 Naira for each kilometer after the driver activates the trip. 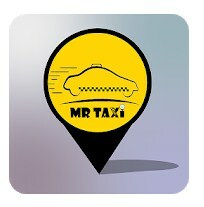 Mr Taxi app is available and works for users in the Eastern part of Nigeria. Getting a ride here is affordable, quick, safe, comfortable and reliable. This is a taxi/ambulance app where you can order for rides and ambulance services that are safe, quick and affordable. This app finds your location even if you don’t know the exact address/area you are in. With this app in your phone, you order for a car /ambulance, get a low-cost ride to your destination and pay in cash or pay in the app. This is an inter-state taxi booking app in Nigeria. Install and book a taxi to and from select cities in Nigeria. With the help of taxi services in Nigeria, you can book, hire, and even rent cars to suit your taste. Some of these taxi services deliver Cargo to any destination of your choice. When you can’t deal with the heat in those danfu buses or Keke (tricycle) then you can order for a ride with your Smartphone since technology has made everything easy for us. With the app in your phones, you can easily get a good cab which service fee is affordable and we will sit comfortably in the car, relaxed and free from the stress of jumping from one bus to another.